Sycamore is a huge tree. 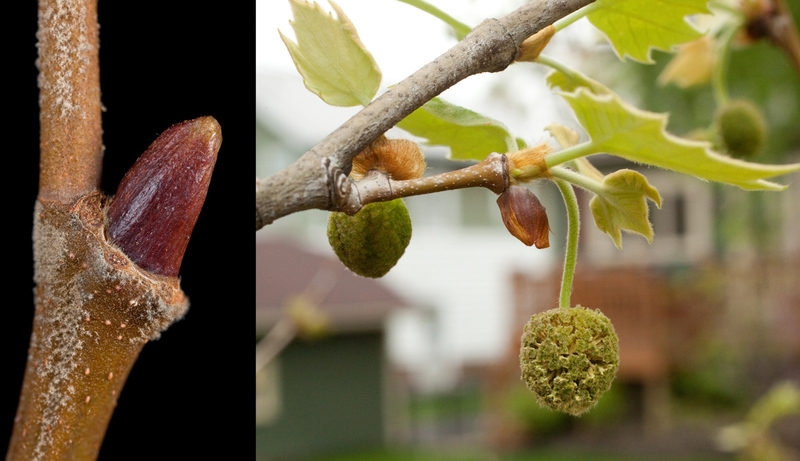 Sycamore leaf bases fit completely over the buds, like a stocking cap. Consequently the leaf scars completely encircle the buds. 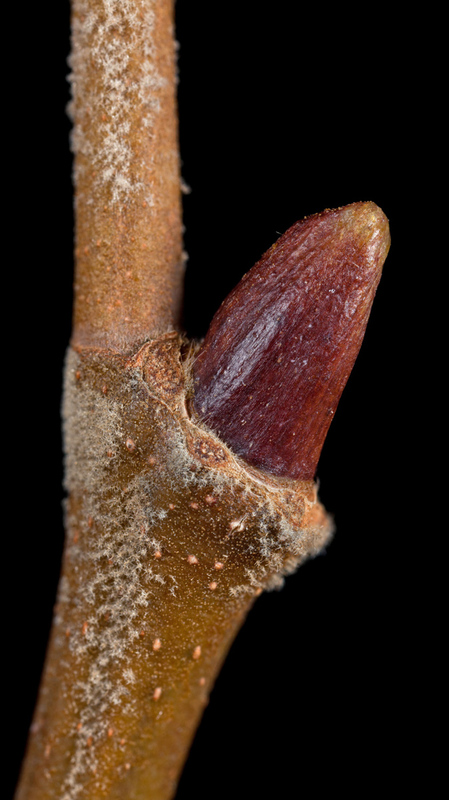 Sycamore leaf scars completely encircle the buds. 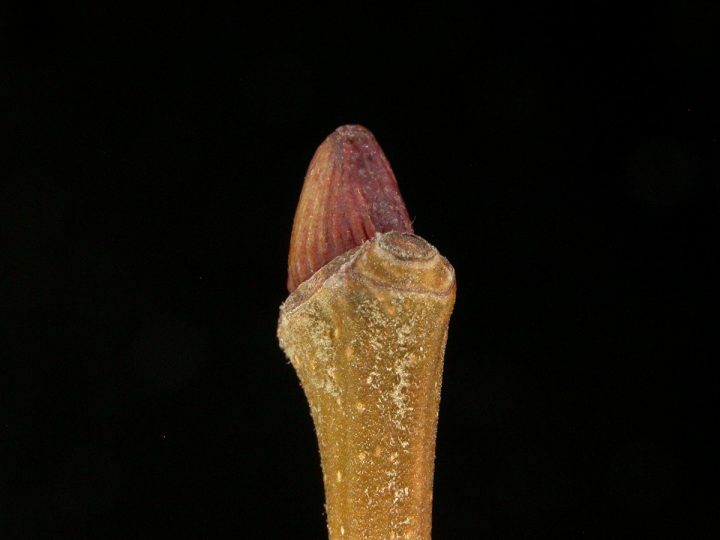 Sycamore has a false terminal bud. What appears to be a terminal bud is just the last-formed lateral bud, and there is a “tip scar,” the remnants of the branch that extended past that last-formed lateral.